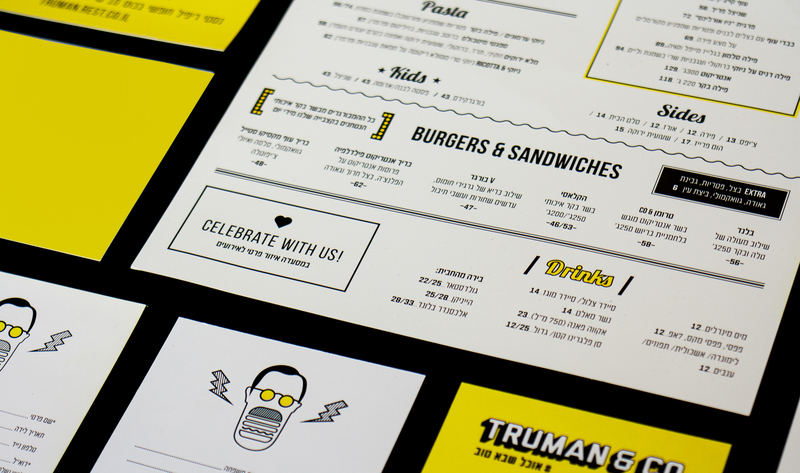 American-style restaurant specializing in hamburgers and classical American dishes. 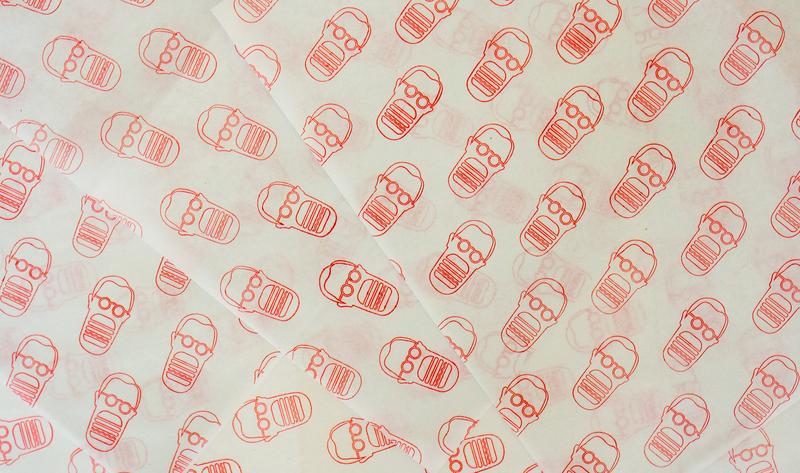 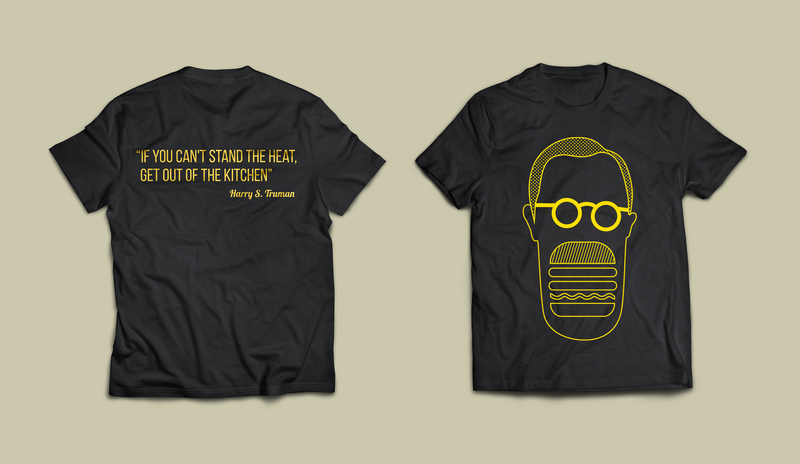 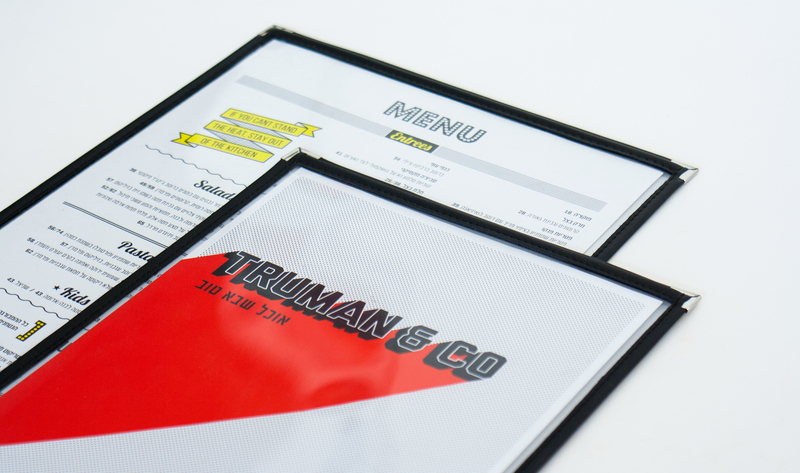 The logo playfully mixes the portrait of former president Harry Truman and the restaurant’s house specialty – the burger. 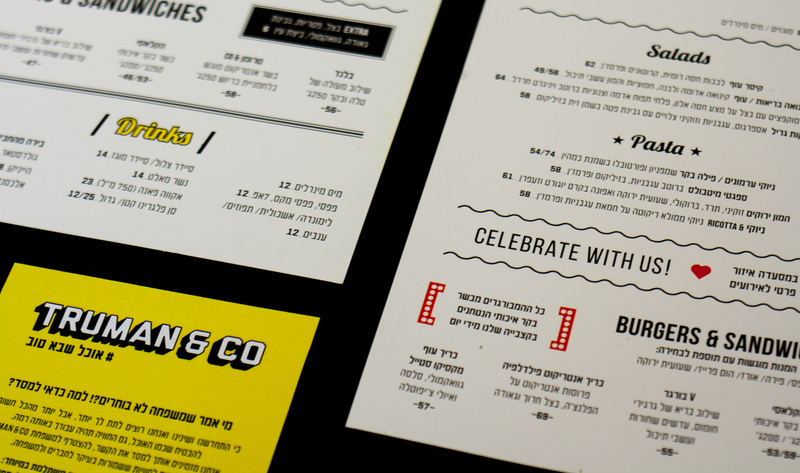 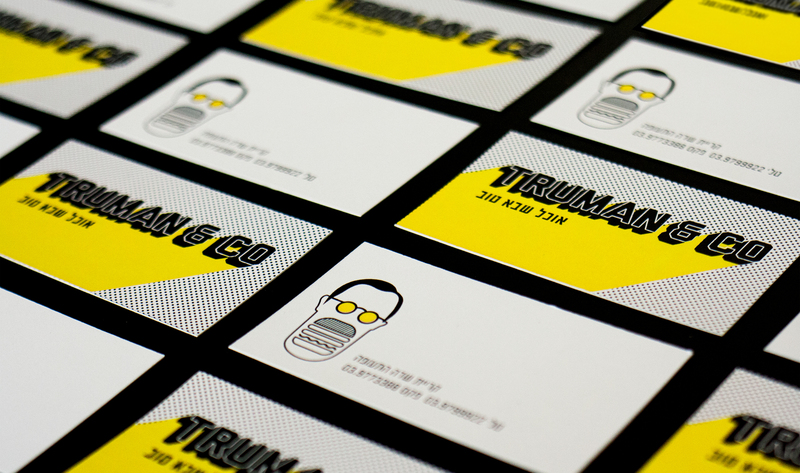 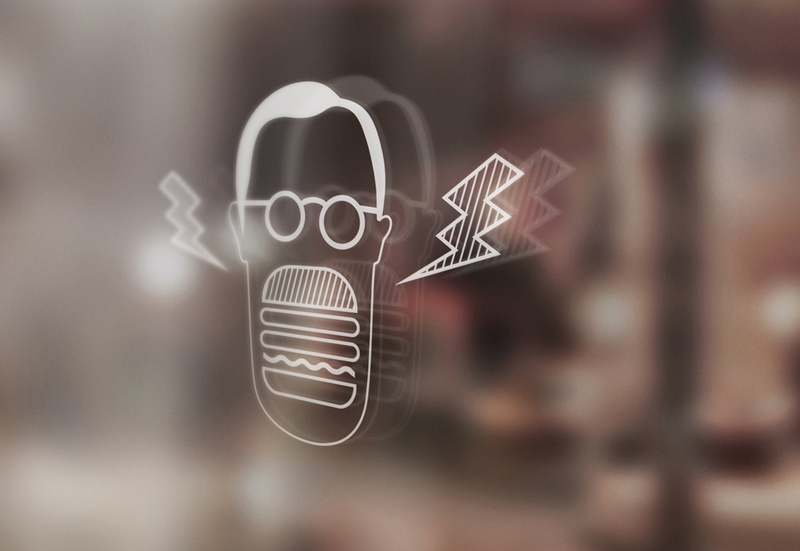 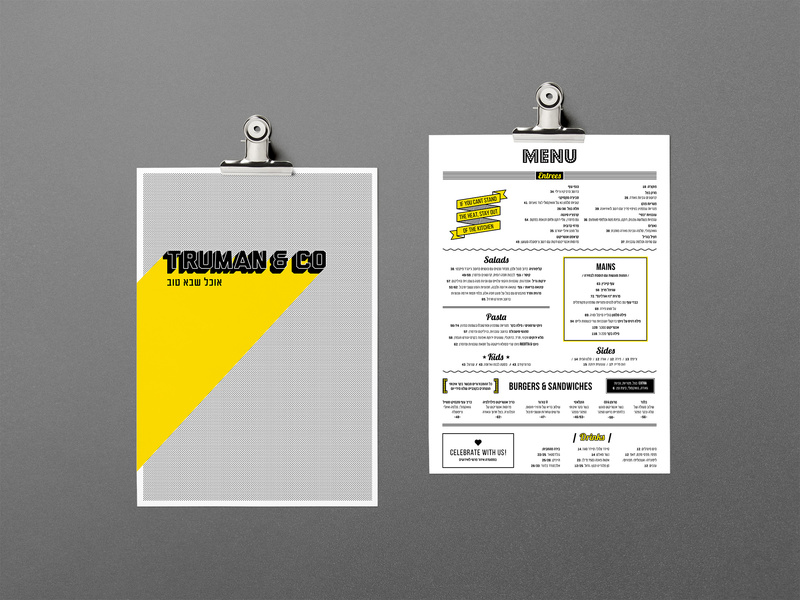 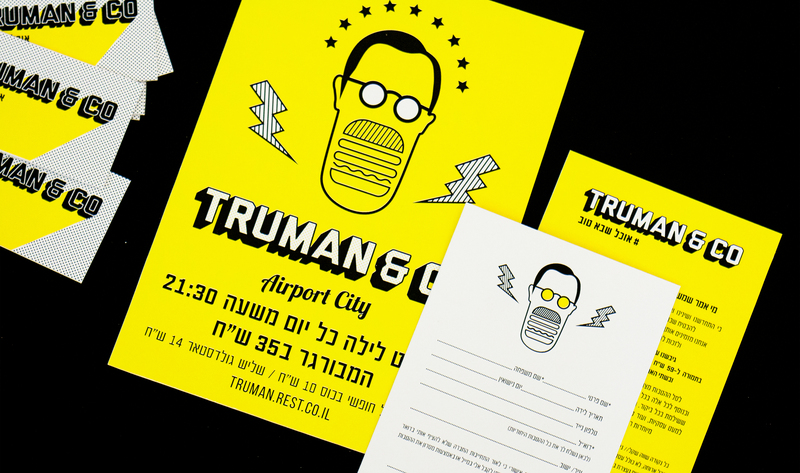 Truman & Co. gets its name from the nearby village of Kfar Truman, however his famous saying: “If you can’t stand the heat keep out of the kitchen” works well with the branding language, through a humoristic, minimalistic and up-to-date adaptation.